These before and after photos of Detroit, compiled by Detroit Street View on Twitter, capture how the mass motoring era hollowed out American cities. 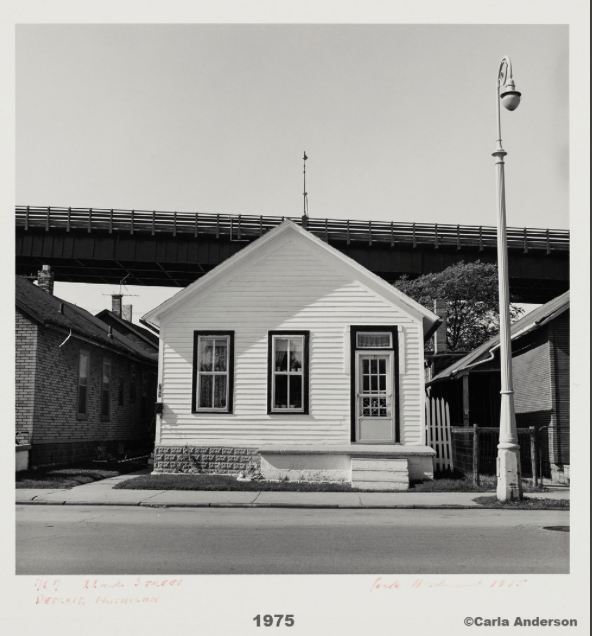 Detroit may have changed more than most urban places, but it was subject to the same forces as other cities — white flight and suburbanization facilitated by car infrastructure, the loss and dispersal of manufacturing jobs, migration to the Sunbelt. These haunting images portray a transformation that happened all over the country. It’s barely recognizable, but the blue building on the left corresponds with the white building on the left in the top photo. Since the 1960s, asphalt to carry car traffic has swallowed up the buildings and businesses that made this area walkable. Today, that house is gone. This section of 22nd Street was removed to widen the Ambassador Bridge to Canada in the late 2000s, a project that has met with a barrage of legal challenges. 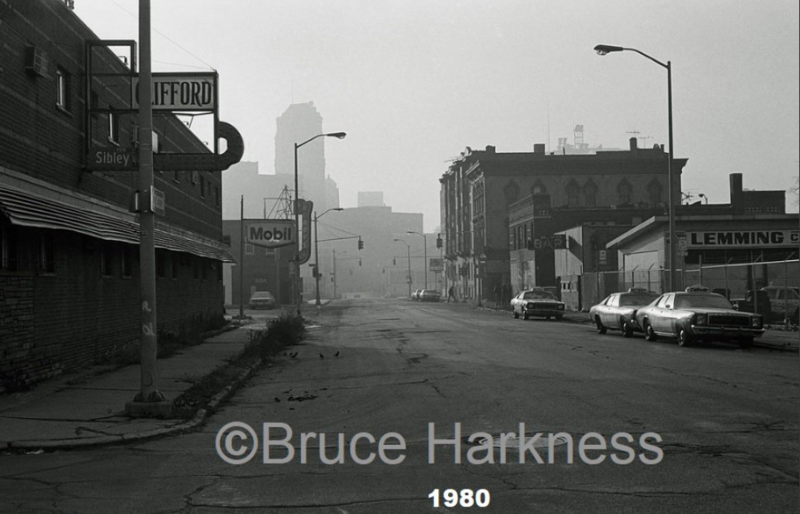 Here’s a shot of a more central neighborhood, already looking neglected in 1980. The corner retail in the foreground of the before photo, at Clifford and Sibley Street, was removed to make way for the Detroit Redwings arena and a parking garage, according to Detroit Street View. 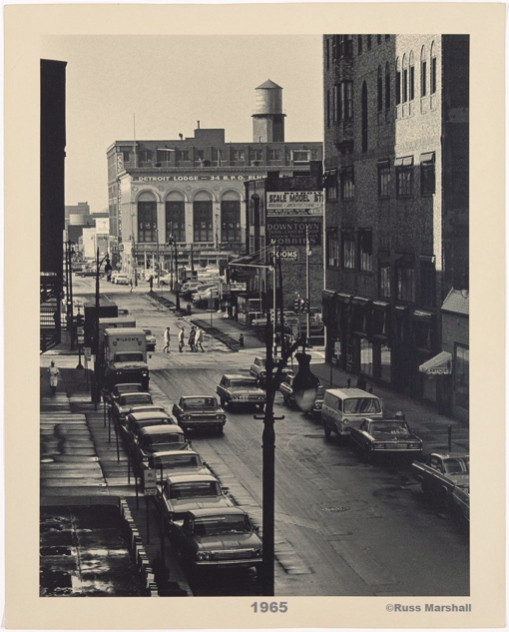 These photos show Elizabeth Street in Downtown Detroit. The large brick building in the foreground on the right was demolished in the 1970s after a long period of vacancy. 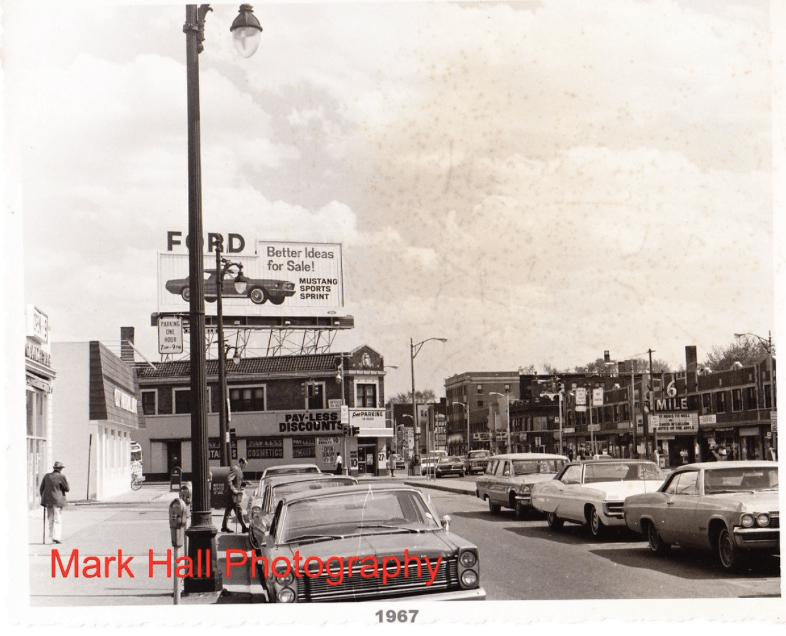 In the background of the photo below, of 3rd & Selden, you can see the Jeffries Homes, public housing built in 1953. It was demolished in 2001 and replaced with low-rise housing. 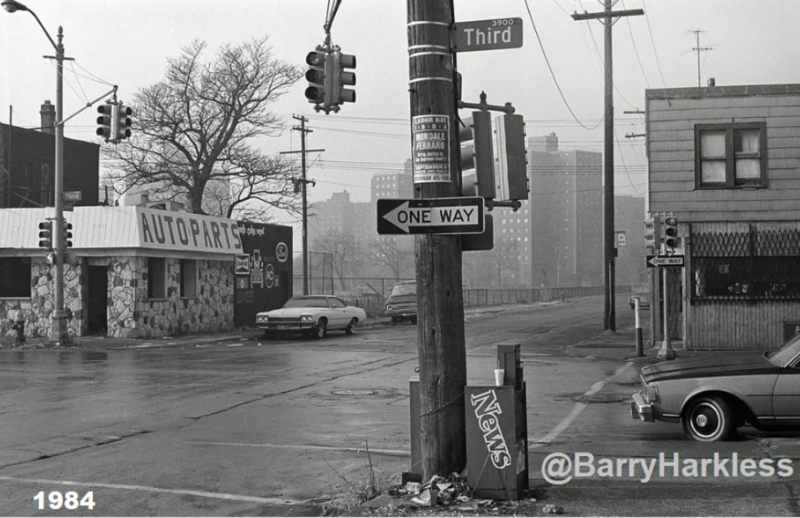 These photos capture Detroit at various stages in the cycle of disinvestment. As urban land values become lower, facilitated by highway sprawl and plant closures, more and more space becomes vacant or devoted to low-value uses like parking. Obviously, if Detroit’s economic fortunes had been different, the city would look a lot different today. But with few exceptions, every U.S. city has succumbed to this same pattern, albeit less dramatically. Thanks to Detroit Street View for helping us see clearly what has been lost.